The Recreation program invites former and current Recreation student and non-student staff for a day of connections, reflections, local adventure and environmental stewardship. 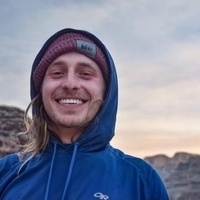 We’ll share focused time remembering and celebrating the life of Nik Madsen (Class of 2016), a recent Recreation Leader and Wilderness Orientation Instructor who passed away in 2018. Stewardship and adventure activities throughout the day will draw from Nik’s passions and his sense of place in special campus locations. Lunch and refreshments will be provided. The event is free. Donations to the Nik Madsen Endowment for Whole Heart Leadership are encouraged.